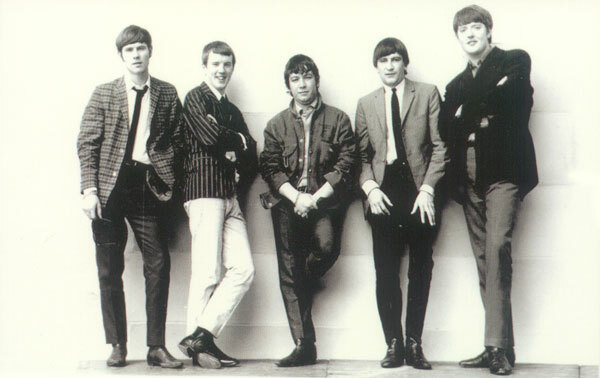 1964, The Animals kicked off their first headlining UK tour at the ABC in Manchester with Carl Perkins, Gene Vincent and The Nashville Teens supporting. 1966, The Jimi Hendrix Experience played their first gig as a band supporting French pop star Johnny Hallyday at the Paris Olympia in France. 1967, John Lennon stars as Private Gripweed in Richard Lester’s film How I Won the War, which opens at London’s Premiere Theatre. 1968, Led Zeppelin appeared at the Marquee Club in London. By contractual agreement they were billed at the New Yardbirds. They received 50% of the gross ticket sales, less £15 ($24) to pay for the support act, The Bakerloo Blues Line. 1968, Its a Beautiful Day and The Youngbloods perform at Terrace Ballroom in Salt Lake City, Utah. 1969, The Temptations scored their second US number one single with “Can’t Get Next To You,” a number 13 hit in the UK. 1969, Pink Floyd appeared at University College, London. 1969, Jefferson Airplane’s Paul Kantner is arrested for marijuana possession in Hawaii. 1969, Led Zeppelin, along with Lee Michaels, and the Magic Veil Light Show, performed at the Detroit Olympia in Detroit, Michigan. The “Old Red Barn” was home to the Red Wings hockey club from 1927 until 1979. 1969, BB King, Albert King, and Santana appeared at The Kinetic Playground in Chicago. 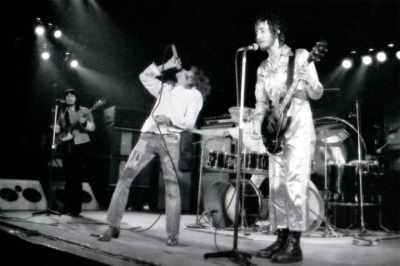 1970, The Who performed at the Odeon, Lewisham, England, having taken a week break due to Roger Daltrey’s bout with bronchitis. 1971, King Crimson appeared at De Montford Hall, Leicester, England. 1972, The Grateful Dead played at the Fox Theatre in St. Louis, Missouri. 1974, Rush and KISS performed at the Parthenon Theatre, Hammond, Indiana. 1975, For the second episode of Saturday Night Live, the musical guests are Simon & Garfunkel, temporarily reunited for this TV appearance. 1977, Lynyrd Skynyrd played at the Lakeland Civic Center, Lakeland, Florida. 1978, Bob Dylan performed at the Chicago Stadium, Chicago. 1979, Buggles were at number one on the UK singles chart with “Video Killed The Radio Star.” The Buggles were a studio band featuring producer Trevor Horn. Famously, it was the first ever music video shown on MTV. 1980, The third single from Pete Townhend’s solo album Empty Glass, “A Little Is Enough” backed with “Cats In The Cupboard,” peaks at number 72 in the U.S. Billboard charts. 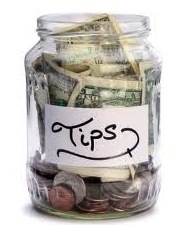 It reaches number 89 in Cash Box. 1985, Who bassist John Entwistle and his mansion Quarwood are featured on Lifestyles of the Rich and Famous. The show contains footage of John playing with the first lineup of his solo band “The Rock”. 1986, Huey Lewis and the News went to number one on the US album chart with Fore! 1990, Pete Townshend performs part of his musical The Iron Man on German television. 2000, American singer and actress Julie London died after suffering a stroke. She notched the 1956 US number nine and UK number 22 single “Cry Me A River,” which was also featured in the 1956 film The Girl Can’t Help It. She recorded 32 albums during her career, and played the role of nurse Dixie McCall, in the television series Emergency! from 1972 to 1979. 2002, After a 15-year court battle, New York State’s highest court ruled that the Ronettes, did not have the right to share the money earned by their producer Phil Spector through the use of the group’s songs in movies, television and advertising. Citing a 1963 contract signed by the group, the court also substantially reduced the amount they stood to gain from royalties on sales of records and compact discs. 2008, Adele appeared on Saturday Night Live along with then US vice-presidential candidate Sarah Palin. The show earned its highest ratings in 14 years with a total of 17 million viewers. Adele who performed “Chasing Pavements” and “Cold Shoulder,” then topped the iTunes charts the following day. Her debut album jumped thirty-five places to number 11 on the US chart the following week. 2013, Paul McCartney gave an impromptu gig in Covent Garden, London to a crowd of more than 2,000 fans during the lunchtime hour. McCartney’s latest solo album New was released in the same week.